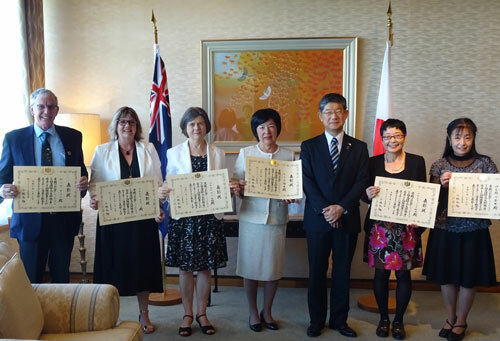 Dr Edwina Palmer, Former Associate Professor and Head of the Japanese Programme of Victoria University of Wellington was bestowed the Order of the Rising Sun, Gold Rays with Rosette, on Monday 17th December, at a Conferral Ceremony held at the Official Residence of the Ambassador of Japan to New Zealand. More details here. 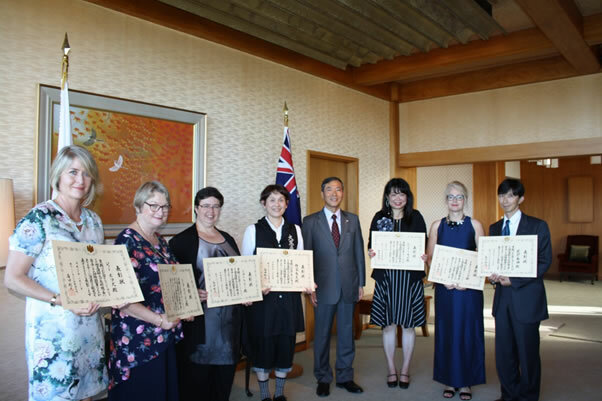 Ambassador Hiroyasu Kobayashi presented Certificates of Commendation to six people on 19th March 2019. Click here for more details. 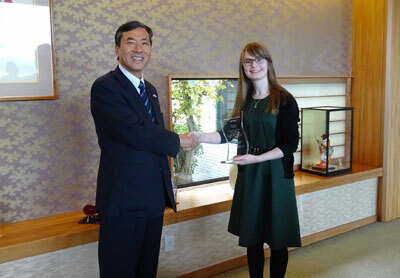 On January 23 2018, Ambassador Toshihisa Takata presented Certificates of Commendation. Click this for the details. For the details of our ambassador's prize information, click here. 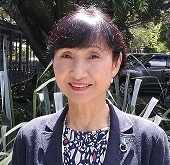 Ms. Kyoko Mikami has been appointed as the new Japanese Language Advisor. Providing advice and guidance on immersion opportunities, scholarships and professional learning opportunities both in New Zealand and abroad. She can be contacted by email at japanese@ilep.ac.nz, or by phone on (09) 623 8899. 'Minato' (literally meaning 'Harbor') is a place where you can study the Japanese language with online courses, and interact with people from all over the world via online communities. From this 'Minato', or 'Harbor', each person can embark on a voyage of study that suits their own personal needs, later returning to port and repeating the journey as often as they wish. In this way, 'Minato' provides a place of learning and a place for meeting new, like-minded friends. From this portal page, you can access websites providing various resources, learning support and purchase information. Challenge with Erin ! 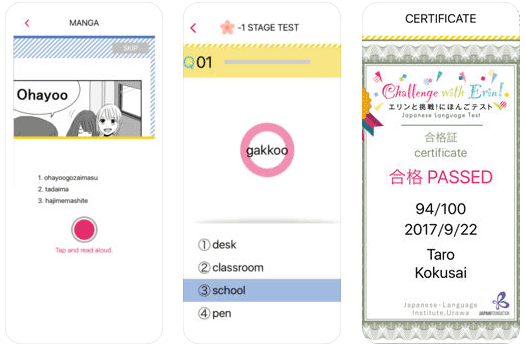 - The Japan Foundation has released this mobile app for young people to study Japanese and test their ability more easily and in a more engaging way. You can use it to study beginner-level vocabulary and expressions through card games, manga and quizzes, and to check how much you retained. 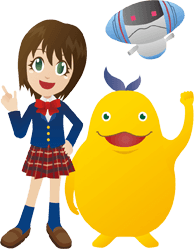 The app teaches Japanese from complete beginner up to early intermediate level, and there is no need to be able to read Japanese to use it! Click HERE for more information. “Japanese in Anime & Manga” Website - An e-learning site that offers a fun way to learn a number of character/genre-based Japanese expressions that appear in anime and manga. Or Watch the live NHK TV programmes online at https://www.nhk.or.jp/nhkworld/en/live !